The Museum Project – January 2017 | F.F.A.M. I only have three things to tell you and remind you about. 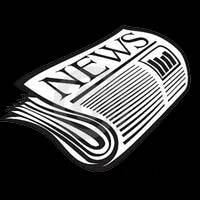 First, just before Christmas I received word that we had been awarded a grant from the MFA Oil Foundation. The grant is for $2,500 and is to be earmarked for display cases for the museum. While the amount is small, it is much appreciated. 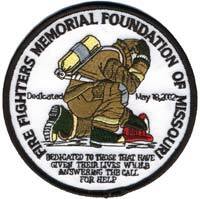 We would like to have patches from every department in each district to frame and display. If you can help with that, I would be grateful. 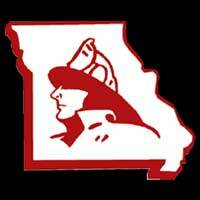 Second, Winter Fire School is approaching. 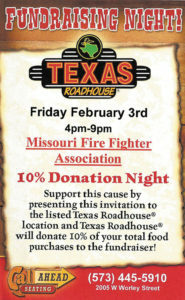 For the third year we will be doing the fund raiser at Texas Roadhouse. Opposite in the newsletter is a flyer for the event. 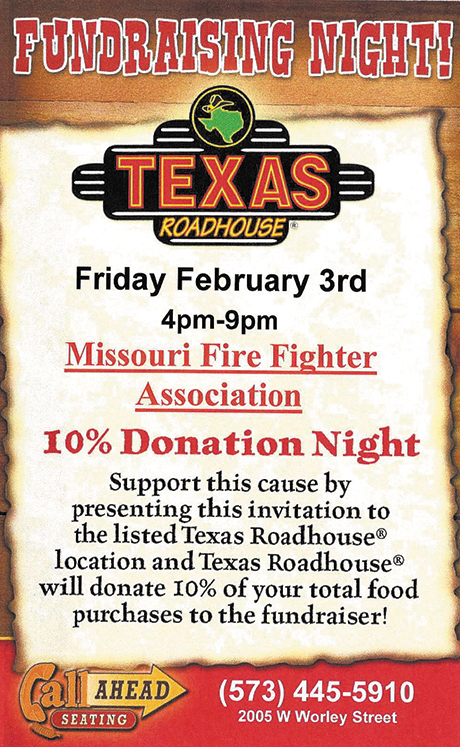 Cut that out and take it with you on Friday evening, February 3 between 4 and 9 p.m. and they will donate 10% of your check to our project. Last year we received over $500, the largest amount ever given by the Columbia restaurant. It will be crowded, but please be patient. Third, the Fire fighters’ field of flags. Each year at the firefighters’ memorial service we post U.S. Flags to honor, memorialize or show appreciation to firefighters and/or veterans. Last year we were down in our numbers but hope to do better this year. Below in this newsletter is an order form for the flags. The price is the same as past years, $35 if you want the flag to remain at the memorial and $40 if you want the flag sent to you or someone you designate. I will need your order the first week of May so I can get flags ordered. 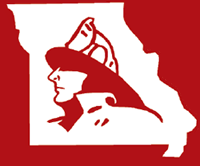 I will have order forms at the Winter Fire School and at the FFAM convention in Sedalia. A suggestion: copy the order form and go to businesses/individuals in your community and ask them to purchase a flag. 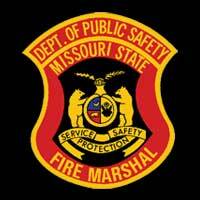 In closing, I thank you for your service to your community and Happy New Year!